The Origin of Ice Hockey & Why it is so Popular in Canada? 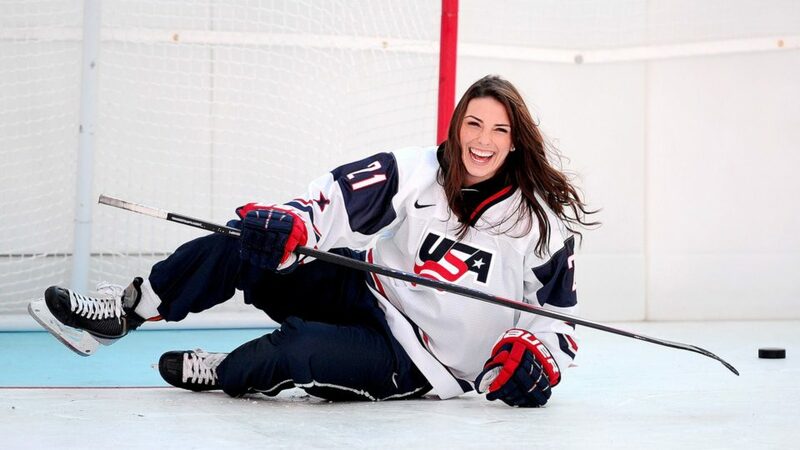 If one were to determine the exact point of origin for ice hockey, or even field hockey thereof, it would prove to be a difficult task, if not impossible. This is not only because the precedents that set up the concept of hockey can be any number of stick-and-ball games in the British Isles and Northern Europe. A conceptually similar game (though by a wide margin) was the ijscolf, a variation of the Dutch kolven, is known to have existed in the Low Countries by the time between 7th to 14th centuries which was widely played on slippery surfaces. But other than this, stick-and-ball games which both cricket and hockey originated from was to be found in various predecessors, be it the English bandy-ball or the Scottish shinty. As such, the birth of ice hockey obviously shares its history with the birth of general field hockey. It emerged distinctively as hockey (rather than the more primitive bungy-ball or Scandinavian knattleikr) after the Puritan interregnum had expired and monarch was restored on the 17th Century English throne, and it did not take long for hockey to adapt to the frozen ice-capped surfaces in the winter, with a ‘bung’; possibly the earliest evidence to back this up is to be found in a 1799 letter written by one William Pierre le Cocq of Chesham. 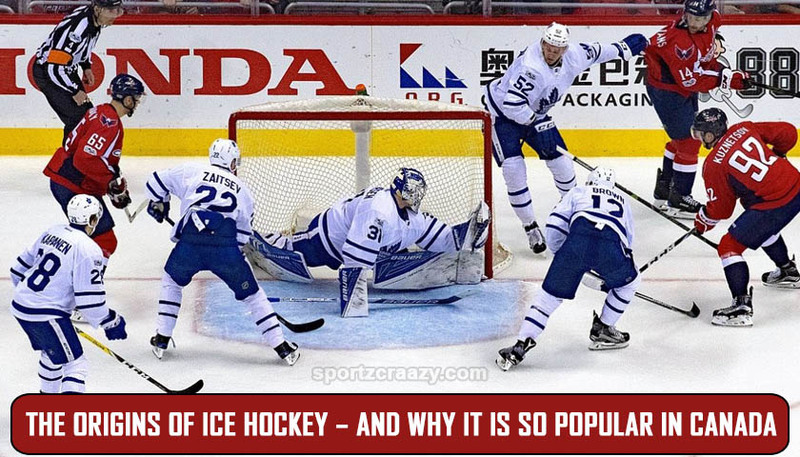 Why Ice Hockey is so Popular in Canada? Canada’s inclusion on this list of names comes even before the transatlantic colonial exchange itself had begun its phase of large-scale migration. When the English hockey was gaining traction in the rest of north-western Europe and Scandinavia, there was a game called tooadijik (which became hurleydijik after the European contact and the addition of the Irish-origin hurley bat) was played among the Mi’kmaq people who were indigenous to southern Canada. As the accounts discussed in Silas Tetrius Rand’s Legends of the Micmacs (1894) reveals, the earliest instances of hockey played among the British colonizers even used bats made by the Mi’kmaqs. That said, hurleydijik was still structurally too dissimilar from what we have today to directly connect it to modern hockey or ice hockey. Also Read: What is icing in hockey? However, ice hockey as we know it today also had found its true trajectory of evolution in Canada, especially in its heart – Montreal. Montreal today is internationally recognized as the birthplace of organized modern ice hockey. The first officially recognized indoor ice hockey game ever took place in Montreal’s very own Victoria Skating Rink, too, on 3rd of March, 1875. In this game, some core features of modern ice hockey were already observable, including but not limited to: a flat piece of wood (a likeliness of the puck used today) instead of a ball or bung in order to adapt to the rink surface, a close approximation of the modern hockey stick. Even the length of the Victoria Skating Rink has remained as a parameter for the length of the ice hockey field to date. The first-ever ice hockey clubs were founded in Montreal – the McGill University Hockey Club was established in 1877, followed by the Quebec Hockey Club and the Montreal Victorias respectively in 1879 and 1881, much before the inception of the Oxford Ice Hockey Club or its Cambridge counterpart in 1885. Even though initially the rules were governed by an England-based association, Canada did not take long to develop its own independent ice hockey associations with an individualized set of rules and regulations. When the twentieth century came, the base of ice hockey was already well set into the Canadian sports scene, as well as into the hearts of its people. It had already drawn a significant popular reception. To put its sheer scope of critical acclaim as a sport in perspective: in 1893, when the Dominion Hockey Challenge Cup took place, there were already over a hundred semi-pro and professional teams in Montreal alone. Dominion Hockey Challenge Cup would eventually come to be known as the Stanley Cup – a cup awarded to the winners of the NHL playoffs today, regarded by IHFF as the most important championship available to the sport. 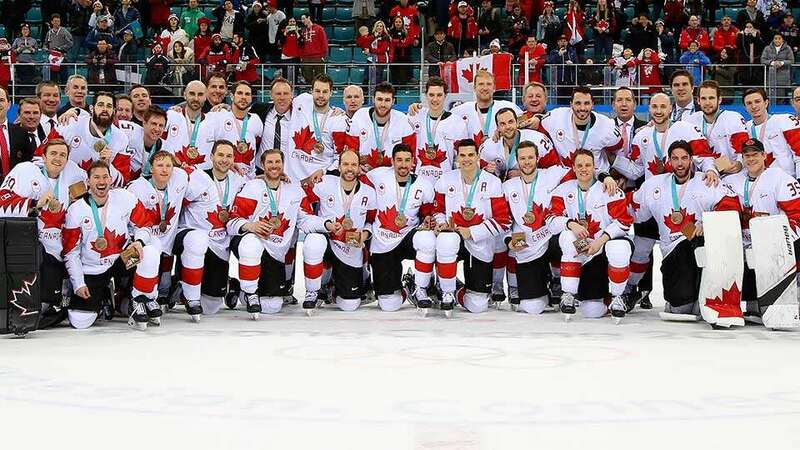 Canada is today is the most important ice-hockey playing country today, played on innumerable different fields, levels, and tournaments, both competitive and non-competitive. 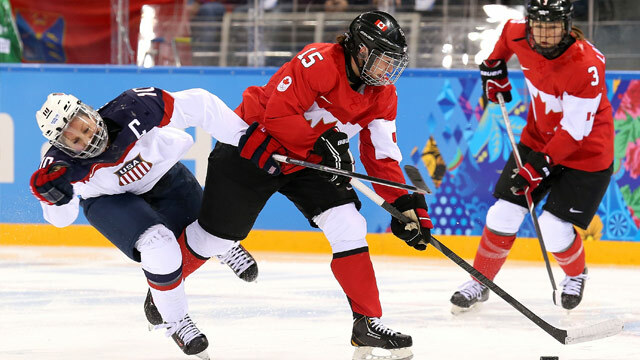 It is dubbed Canada’s national pastime, and with good reason: everyone from the children to the elderly women, participates in ice hockey in Canada. 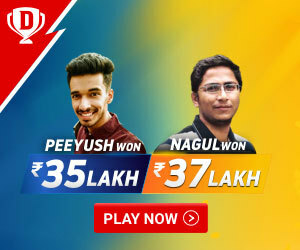 There are various reasons for its widespread popularity – the foremost being, of course, the simple fact that sports with large-scale global appreciation always becomes the biggest in its country of origin. This is statistically proven for many sports – England in cricket being the other large example. Hockey is more than merely Canada’s ‘national pastime’ it is intricately related to Canada’s national pride and cultural identity. This exhibits itself in many ways – the lucky loonie in the Hockey Hall of Fame, the children playing pond hockey on Canada’s $5 bills, or Canada’s eyes and national attention on hockey gold every two years – be it summer Olympics or Winter Olympics. Hockey is the long-standing cultural phenomenon that defines Canada and unites its 33 million people across political, religious, and social differences. Canadians are arguably deft at the game, too, as Montreal Canadiens hold a record 25 titles, and Candian players often top the league charts – which becomes significant when one factor in the population difference between North America and Canada. This also reflects on the international level. 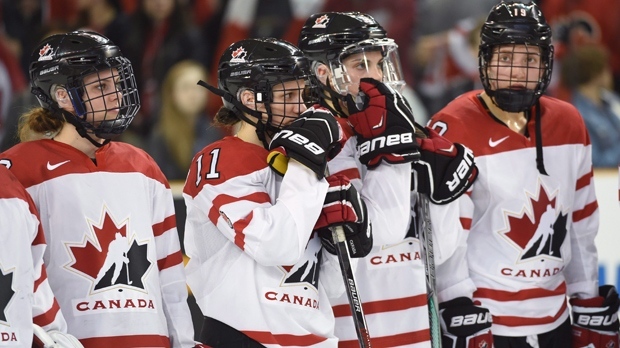 Team Canada is one of the, if not THE most prolific ice hockey team to play the sport. How Canada became so prolific at the game has to do with the availability of scope and infrastructure. Let alone the fact that it is a highly incentivized leading professional sport (There are more active and retired players in Canada than North America), Canada has the upper hand because of its very climate. Snow and ice cover most of Canada save for some coastal regions six months a year – even all year round in the Northern provinces.